Purchase your tickets to the 2019 Business Appreciation Breakfast here. 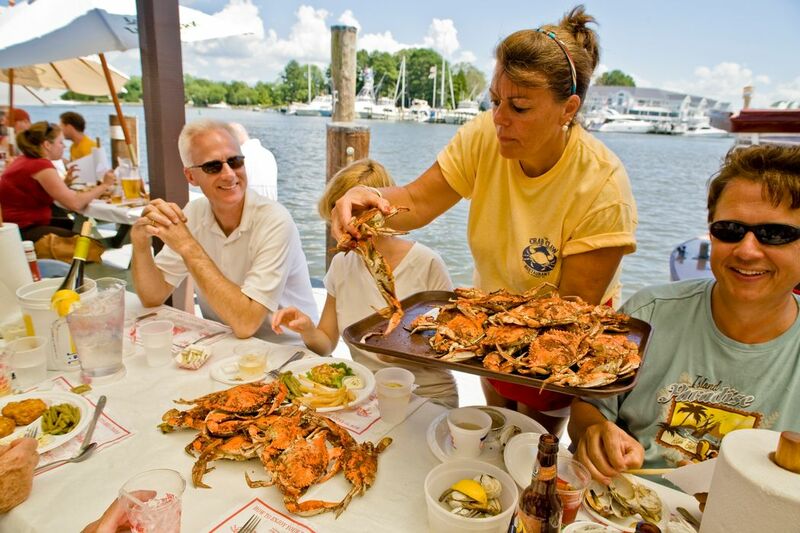 Choosing three regions around the country, Rand McNally named the Chesapeake Bay region–specifically the Eastern Shore of Maryland–as a top choice for seafood enthusiasts. It recognized the area for producing a third of all the blue crabs harvested in America and for the combination of Old Bay seasoning, and its blend of 18 spices, with perfectly steamed crabs to deliver a “finger-linkin good” delicacy. The Crab Claw Restaurant in St. Michaels was listed as Rand McNally’s top choice for its famous Maryland Blue Crabs and award-winning crab cakes. Started in 1950 as The Eastern Shore Clam Company, the company got its start by operating as a clam and oyster shucking house, receiving daily deliveries from local watermen. Owners Bill and Sylvia Jones converted the business into The Crab Claw Restaurant in 1965 and it became an “instant St. Michaels Landmark.” The Crab Claw is still owned and operated by the same family today. Learn more about The Crab Claw here. Read the Rand McNally article here. Be in know. Sign up for our newsletter and get updates on programs, incentives, and events. Find out more about the exciting things we are up to and never miss an update.